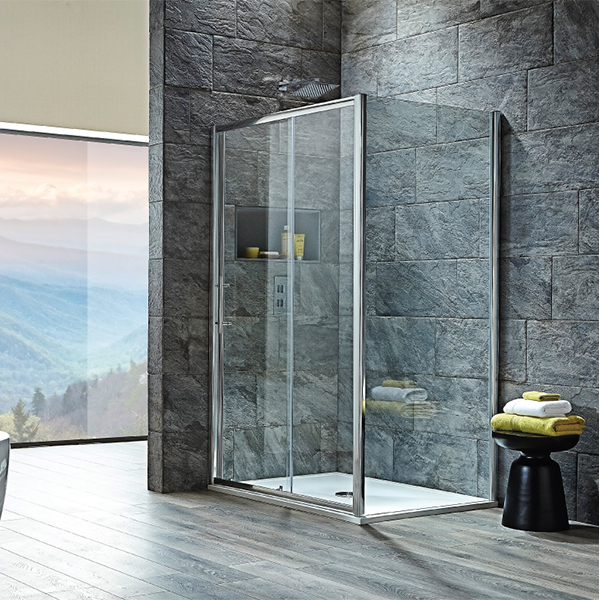 The VIII sliding door is available in 6 sizes from the compact 1000mm right up to a bath replacing 1700mm. 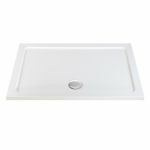 In a recess or together with a side panel these offer flexibility to suit any bathroom space. The 8mm glass door slides open smoothly and quietly on high quality steel bearing rollers. Should you exert a little too much force the door is brought to a halt by way of soft open buffers. These are basically a piston and damper system hidden in the track of the horizontal profile. They add a touch of luxury to a shower door that is very competitively priced. The cabinet is a tall 1900mm which elevates it above cheaper offerings. No need for internal glass cleaning either as a factory treatment of Shield's easy clean treatment has been applied. With a hefty 40mm of adjustment this sliding shower door will be compatible in most bathrooms. For corner installation choose one of the matching side panels. Should you purchase remember to register your lifetime guarantee!